Welcome to a partly 80’s themed addition of Week in Review! Any particular reason for doing an 80’s theme — nope, just feeling nostalgic! 🙂 So since we’re on the subject of the decade that brought us the Rubik’s Cube, Alf, and MTV — what were some of your favorite movies, music, television, and accessories? If you weren’t already aware, there is a search on the header bar for recipes by type. It is a work in progress as I get pages built. This week I have added a Seafood Section which includes great dishes like Shrimp, Tomato, and Basil with Penne Pasta, Lemon Baked Cod, and Steamed Mussels in Wine and Garlic. In honor of creating this search page, I thought I would also share what some of my fellow bloggers are doing with seafood! In returning to our discussion of the tubular 1980’s, I was so excited to discover this In-Flight Safety Video from Delta Airlines! Completely cracked me up. And you’ll love the last scene if you’re a fan of the movie Airplane! And finally, earlier this week was National Drink Wine Day. In post celebration (or with the idea that EVERYDAY should be National Drink Wine Day), make sure to check out these Great Petite Sirah Suggestions from SAHMmelier and have your own P.S. I Love You party! ohmygoodness, how did I miss National Drink Wine Day???? I think everyday is a drink wine day 🙂 Thanks for the shrimp shout out Kenley! 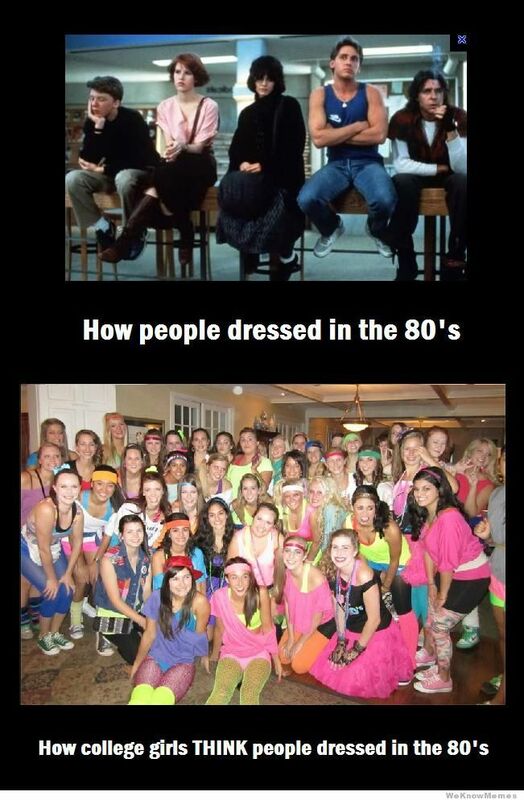 I loved the 80’s! Oh I love that! And I love that you have since donated them to a theatre! Oh wow, I still love the music from the 80’s. Duran Duran, Tears for Fears, Culture Club, Morrissey, Depeche Mode, I could go on and on. The 80’s was my favorite. Love this theme! Thanks also for the shout out for my Coquille St Jacques very popular in the 80’s!! It was my pleasure, Suzanne! And glad you enjoyed the flashback. Oh….and YES to every music group you mentioned!!! It was my pleasure! Such a great recipe! Glad you enjoyed the 80’s flashback! Thanks for including my post! You’ve got a great recipe archive going! It was my pleasure Corrin! This entry was posted on February 21, 2014 by Jessica Romigh in Week In Review and tagged 1980s, Airplane, Delta Airlines, Petite Sirah, seafood, The Breakfast Club.